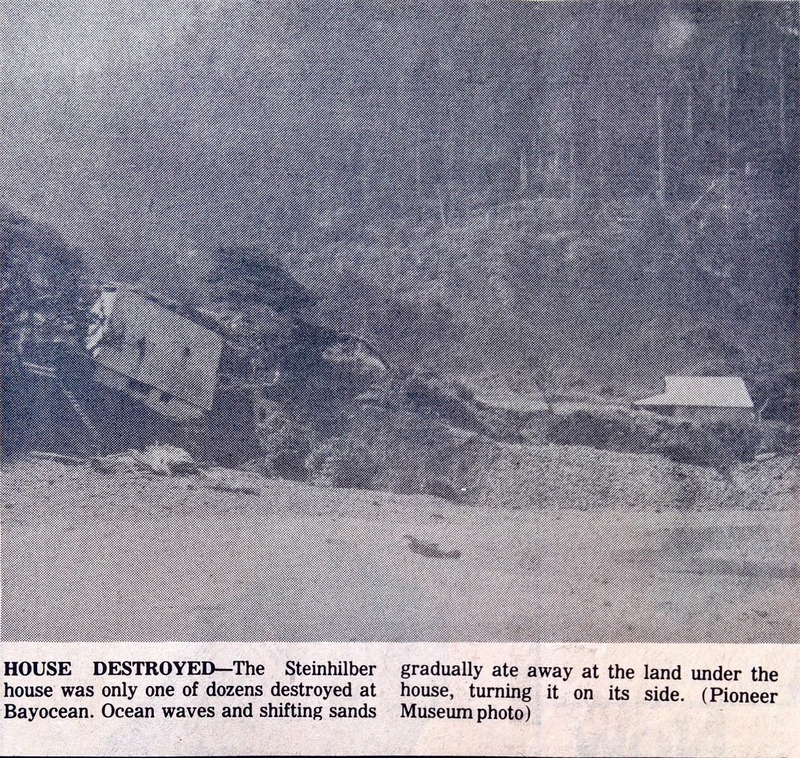 Over a year ago, I read a retrospective article in the Tillamook Headlight Herald of November 16, 1977, looking back twenty-five years to the storm that put an end to Bayocean. 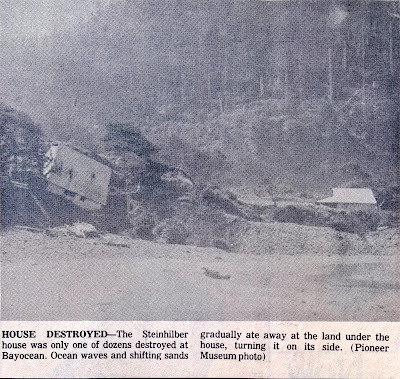 The photo in the microfilm version was so bad I could not see any details, but the caption said the house sliding into the sea belonged to someone named Steinhilber. I didn't recognize the name, so I called Bayocean alumni. They didn't either. 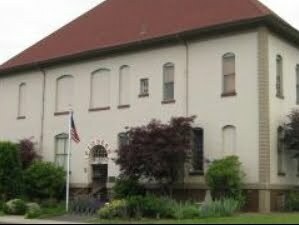 At the next opportunity, I looked through deed indexes at the Tillamook County Clerks' office but could find no evidence of a Steinhilber ever purchasing property in Bayocean Park. I did find that Theodore and Nannie Steinhilber had purchased part of Henry Sampson's original land claim on the north side of Cape Meares on September 14, 1898. This was long before the Potters platted Bayocean Park or any houses fell due to erosion. Searching Ancestry.com and online newspaper archives I discovered that Nannie was a niece of Henry and that Theodore had a land claim that eventually became part of the Lake Lytle subdivision. Friend and historian Don Best shared "Rockaway Memories," a history that his parents helped publish in 1981, which confirmed this. 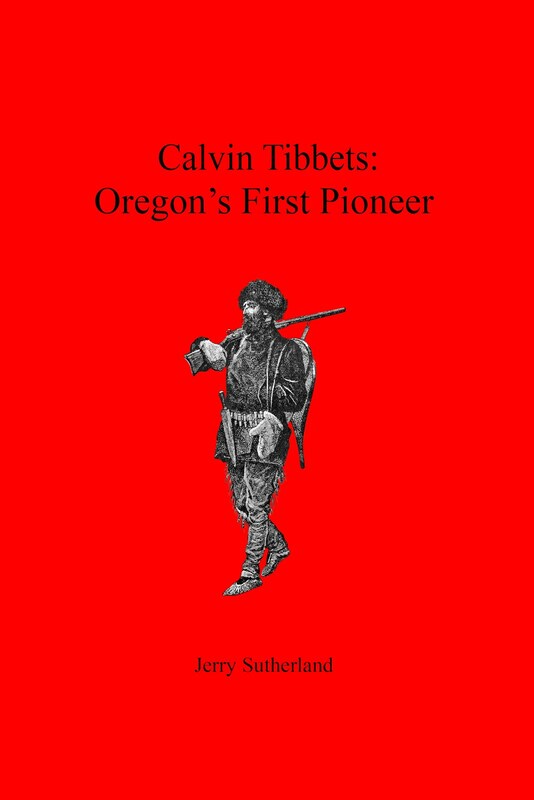 Sometime later I found a folder titled "Steinhilber" at the Tillamook County Pioneer Museum, but all it contained was a photo with "Mr. Steinhilber" written on the back. The 1977 article's caption attributed the photo to the museum, but I could not find it among their Bayocean photo collection. A few trips later I got a better copy of the photo itself from the original newspaper article that the Tillamook County Library was kind enough to let me view. It immediately became obvious the photo was not of Bayocean. The background looked like the north side of Cape Meares to me. I sent a copy to Perry Reeder and Mike Watkins. They both concurred. 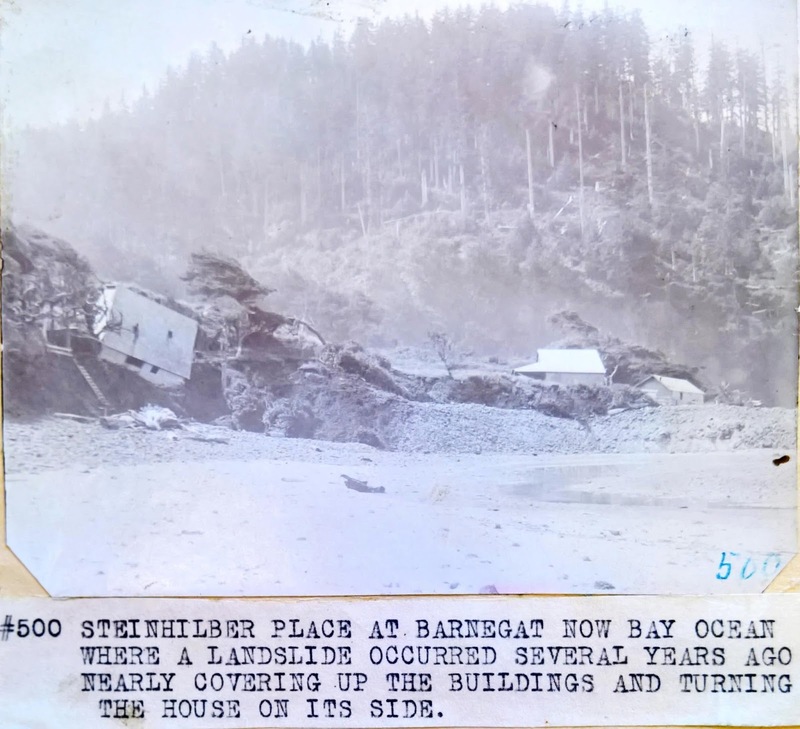 Realizing this made me wonder if the photo had been taken during the Cape Meares landslide of May/June 1899 that I wrote about earlier, which had nothing to do with erosion eventually caused by the north jetty. Sources I'd used then provided a drawing with buildings, but no names. So I looked through issues of the Tillamook Headlight during that period and found the progressive destruction of Steinhilber's house reported in each issue for a month. The June 1st edition said that the same weekend Mr. Steinhilber visited his place an "excursion party came from Tillamook on Sunday, and also the brass band to see the landslide." The only photographer in Tillamook at the time was Otto Heins, so the photo was likely taken by him. 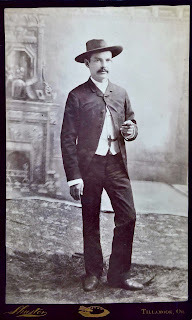 The photo was not published in the Headlight, but Steinhilber's name was mentioned a lot during the 1890s. He had been one of the early owners of the Headlight, served as deputy sheriff, and made a living buying and selling property. He obviously didn't have good timing on this transaction, but uncle Henry only charged them $75 and took other property in trade. When I shared my frustration at not being able to find the photo among their Bayocean collection, Ruby Fry-Matson suggested I look through their more general photo albums. Bingo. It was in "Album 2: Places," item #500 contributed by Mr. & Mrs. Carl Hunt of Tillamook. The caption was clear to me, but the reporter had evidently not understood how Barnegat and Bayocean were related in 1977. The photo in the newspaper cropped out one of the two buildings not affected by the slide. These WERE eventually destroyed by erosion.